AV for You is proud to serve Minnesota with heavy focus in the metro region (Minneapolis & St. Paul). 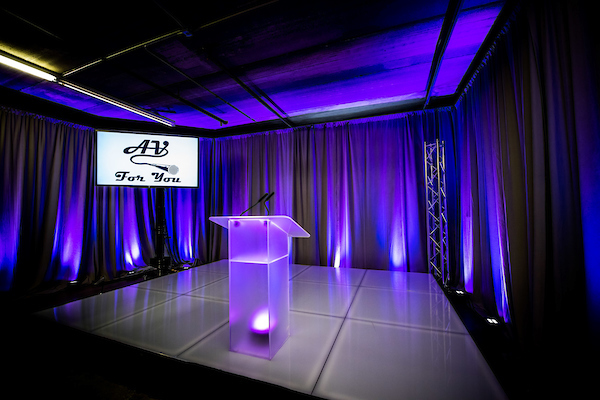 AV for You has a wide variety of Lighting equipment along with the light control equipment to rent that will enhance the look of your next event. We can set up your lighting in a variety of ways by using one of our many set up options. We also rent staging and Pipe & Drapery as well to go along with your lighting if needed. We are full service and will set up the Lighting for you as well. Please check out the listing below for all of our Lighting equipment available to rent if you’re in Mpls, Saint Paul or anywhere outside the metro area of Minnesota.